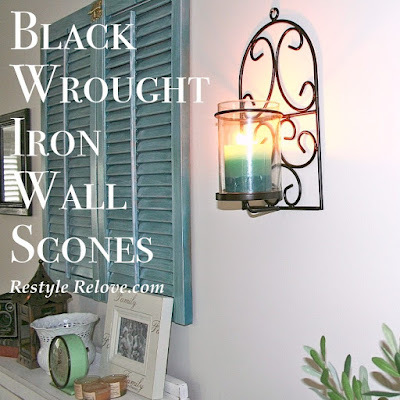 I got these wall scones from ebay a few months ago for a bargain $5 the set! They are huge and I have had them packed away trying to decide where to put them. 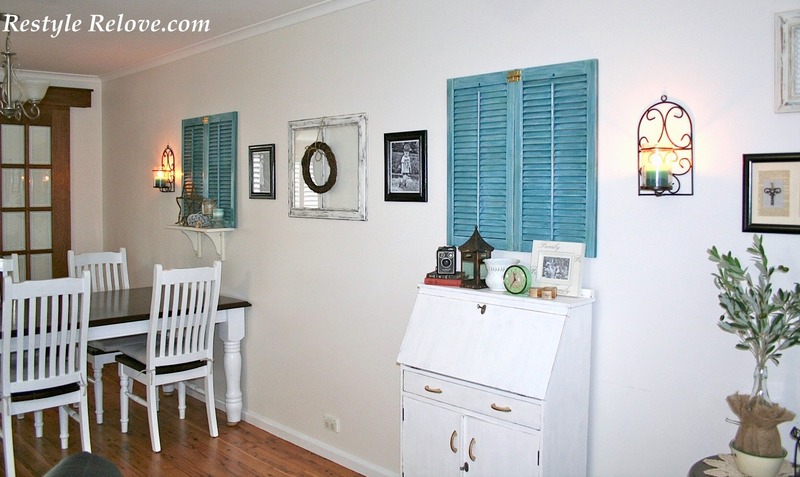 Today they found a new home on my lounge room wall and I'm really happy with how they look! 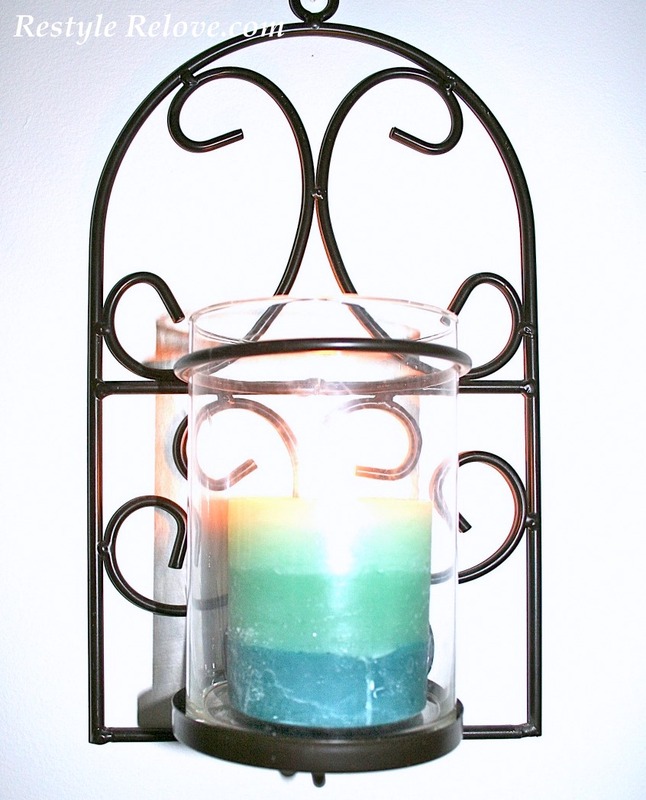 I didn't do anything to them, just added some gorgeously scented turquoise candles which make the house look beautiful and smell divine! Remember my cosy corner, now it is even cosier! 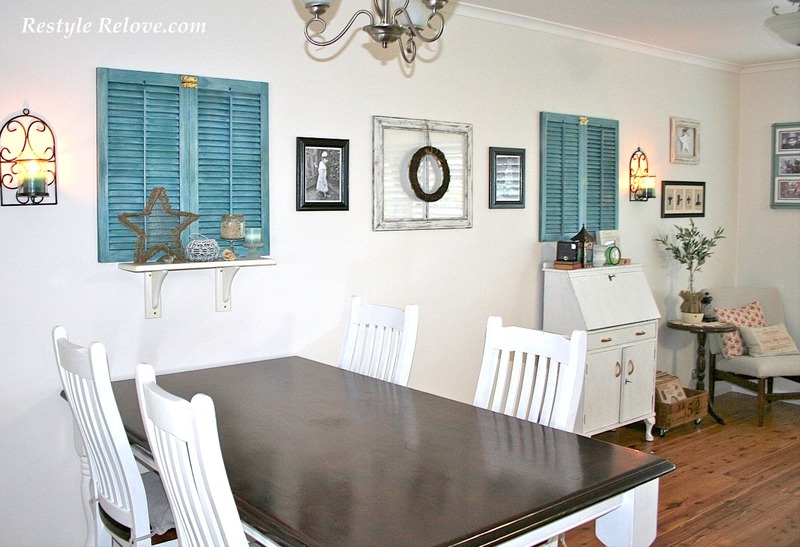 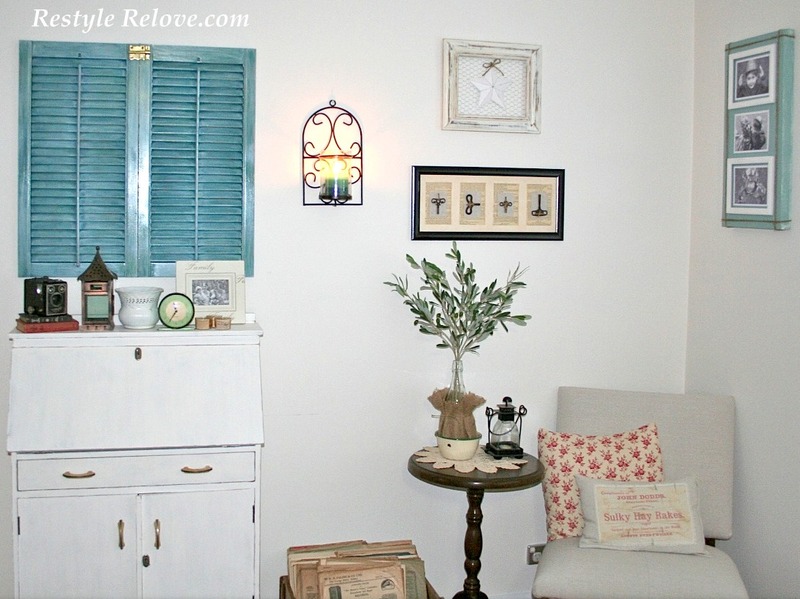 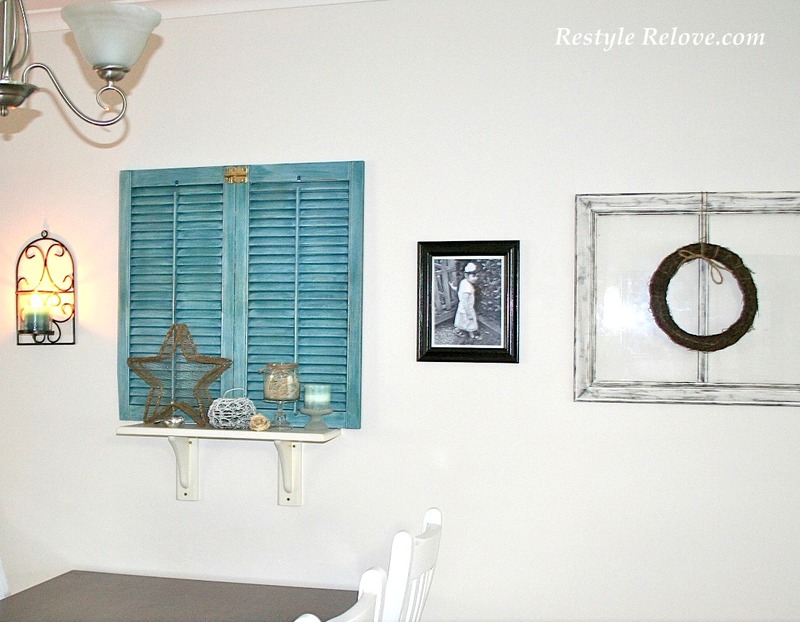 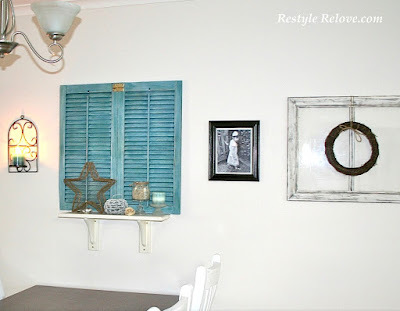 I absolutely love the turquoise shutters....turquoise in all shades is my new favorite color! 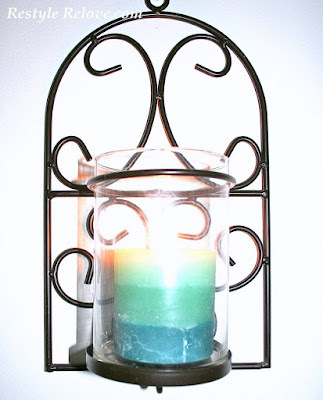 So fun to find things that you don't have to adjust.They look perfect.Love those candles.